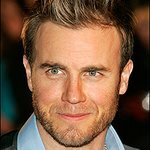 British charity Caudwell Children has announced it will have some very special celebrity guests performing at this year’s Butterfly Ball in May – Robbie Williams, Gary Barlow and Bee Gee Robin Gibb. Caudwell Children stages the ultra-glamorous Butterfly Ball in the Capital every May, and a host of A-List stars turn out to support the charity which provides donations of specialist equipment, treatment and therapy for sick and disabled children living in the UK. 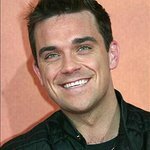 Robbie Williams was announced as an official ambassador for the charity last year. Caudwell Children was founded by entrepreneur-turned-philanthropist, John Caudwell. Since being founded in 2000 the Charity has donated over £11million and helped change the lives of thousands of children across the UK. The event takes place in Whitehall, London, on May 12. More information can be found here.